SAVE THE DATE FOR 2020 - February 9! Please join us on February 9, 2020 as we roll out the red carpet and watch the 92nd Annual Academy Awards. Tickets are $100 each and include a one-year LFS membership and $75 each for current LFS members. 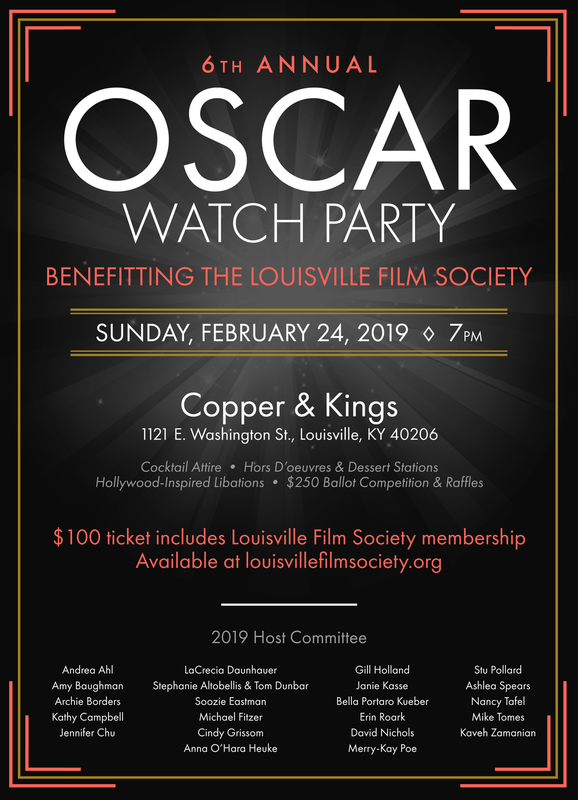 All but $25 from each ticket is a tax-deductible contribution to support the Louisville Film Society.